On Tuesday 18th December Holly Lodge Combined Cadet Force (CCF) held their 3rd Annual Presentation Evening to celebrate the hard work of their cadets over the previous 12 months. 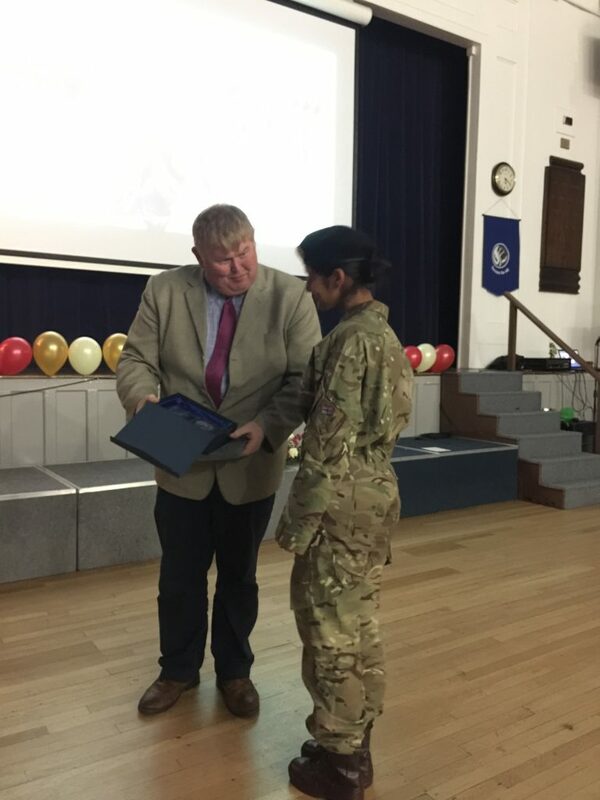 The Presentation Evening was attended by a number of guests including Simon Cuthbert, Schools Cadet Expansion Officer at West Midland Reserve Forces & Cadets Association; Paul Shone, Headteacher of Holly Lodge High School; Manjit Kaur Rai, Deputy Headteacher at Holly Lodge High School; Gurinder Singh Josan, Governor at Holly Lodge High School; and Pritam Mander. As a special guest speaker the CCF welcomed one of their former cadets, Jatinderpal Singh, who has now returned to their detachment as a volunteer. Over the course of the evening a number of promotions were awarded to their cadets, with Baljodh Singh, Anouska Antoine, Ariana Graf Haro and Joelbless Wilson all promoted to the rank of Corporal. Ibraheem Saeed and Sukhpakl Singh were also recognised for their development over the last year by being promoted to the rank of Lance Corporal. Baban Singh won the Most Improved Cadet Award, with the Cadet of the Year Award being presented to Joelbless Wilson. The Presentation Evening was a fitting way to round off what has been a fantastic year for their cadets. 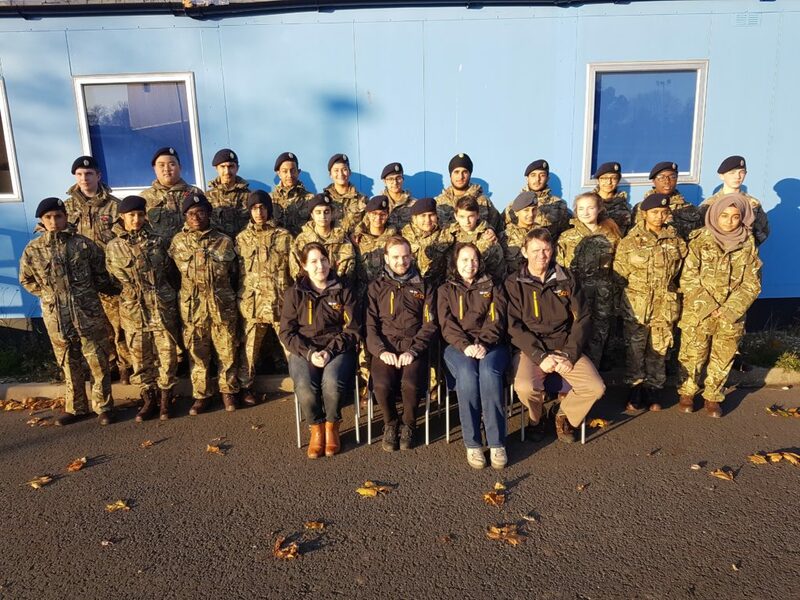 Earlier on in the year their detachment celebrated the successful completion of the CVQO led Institute of Leadership and Management (ILM) Level 2 qualification in Leadership and Teamwork. To gain their ILM Level 2 Qualification the cadets had to complete classroom based presentations and different activities, in preparation for an assessment in which they had to lead command tasks. All of the cadets completed the course and they look forward to inviting CVQO back in February 2019 to work with some of their 6th Form Students. 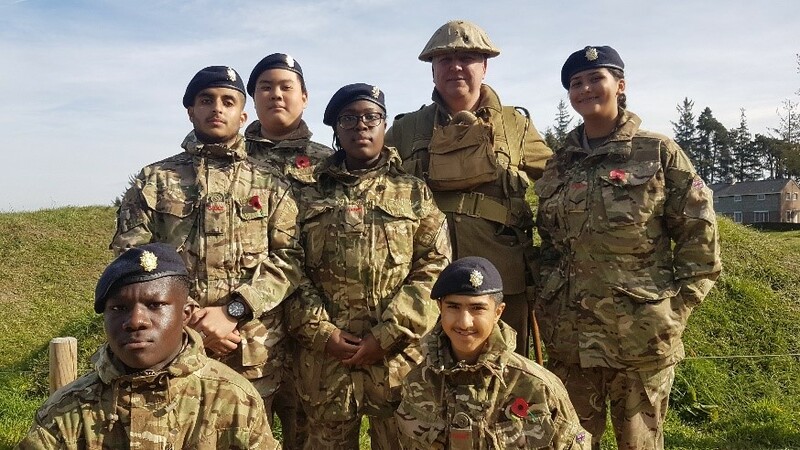 As well as working hard to develop their skills over the past year, Holly Lodge CCF also took part in events to commemorate the centenary of the Armistice of the First World War. 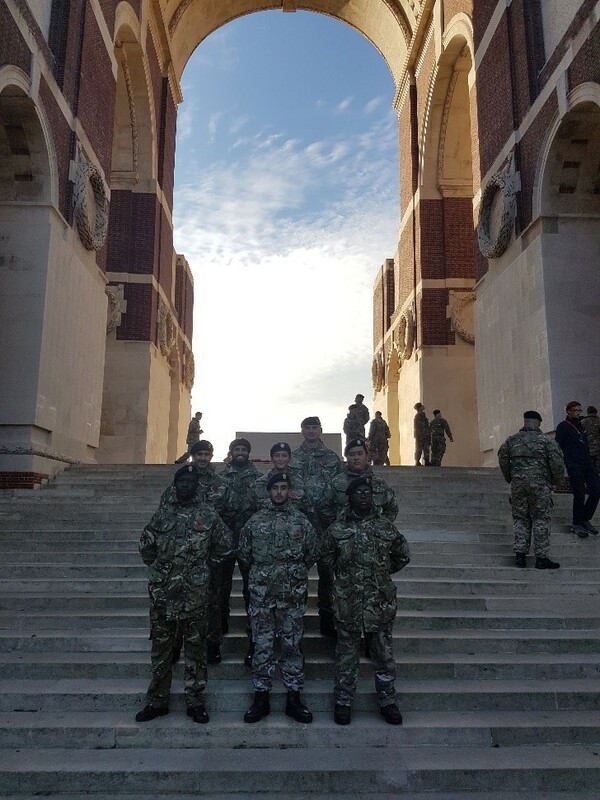 Six of their cadets joined 700 other cadets from across the UK on a trip to the Somme in France to be part of Cadet Armistice 100. The first location they visited on the trip was the Munich Trench, where the cadets visited a graveyard for the fallen British Soldiers. The gravestones were all exactly the same regardless of age, religion or rank. Following this they visited Beaumont Hammel, where soldiers from Newfoundland joined the Allied forces to fight on the frontline, and the cadets were able to walk along the trenches in which so many had lost their lives. Their next stop was to the Ulster memorial which marked an area where soldiers from Northern Ireland had bravely fought against the Germans, and then from there they moved to Thiepval, where there is a memorial to 72,000 men whose names are engraved on the stone pillars as they have no known grave. The final act was to parade and pay their respects to all of the brave soldiers who had lost their lives during the war 1914-1918. 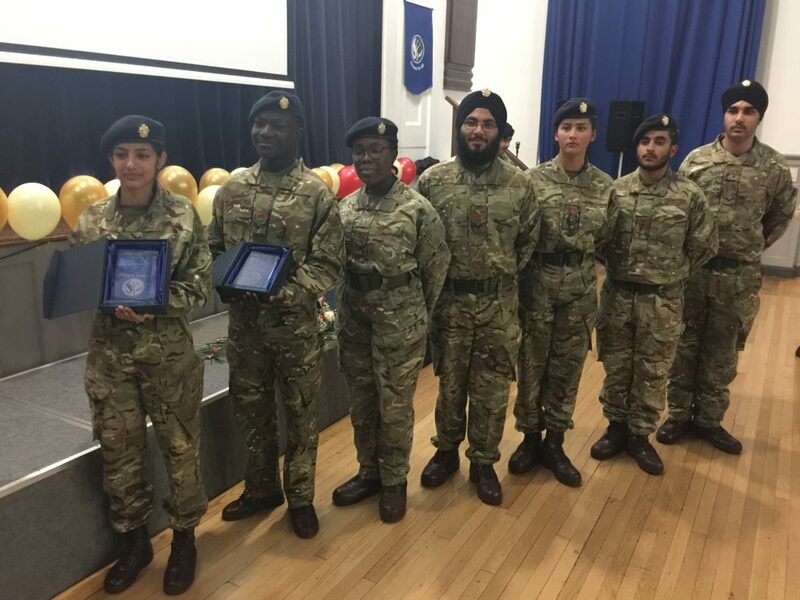 As well as taking part Cadet Armistice 100, one of their other cadets, Baljodh Singh, was lucky enough to be chosen to take part in a project called Journey from Home; a project focusing on the lives and the struggles of Indian Soldiers who came to England during the First World War. The project gave the students the opportunity to learn and commemorate the bravery, courage and sacrifices they made during the war via reflective research trips to a number of key locations both in the UK and Europe. During the project Baljodh was given the honour of attending and laying a wreath at the Cenotaph in London as part of the National Remembrance Service, and also to lay flowers for the forgotten soldiers at the BBC’s televised service at Westminster Abbey. You can read more about Baljodh’s experiences in his fantastic account here.